"Hollywood's Obligation is to Shape Culture. We Should Shape it for the Better." 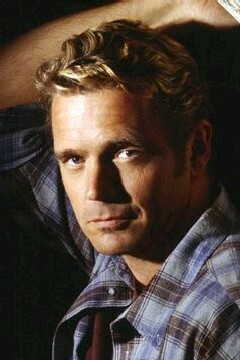 We recently spoke with actor John Schneider, who is currently starring as Jonathan Kent on the WB's Smallville. Schneider has an impressive resume as an actor (Bo Duke on The Dukes of Hazzard), director (the recent Pax film, Mary Christmas, in which he also starred), and recording artist. Schneider almost passed on the role of young Clark Kent's father on the hit show because he felt that the story of Superman had been "done quite well, but done quite enough." He only had to read the script, however, to be convinced that this role fit perfectly with what he wanted to do with his career: find projects that honor parents and parenting. Schneider observed that on television, parents are not given the respect they're due. Instead they're usually depicted as "the dumb people in the house." "If it weren't for the innate intelligence of their teenage son or daughter they would never be able to make it through the day." It's this lack of respect for authority, and for the institution of parenthood, that Schneider thinks is most damaging. "Far beyond the language or even visual content, this is really what's wrong with television." After reading the Smallville script, he was pleased to see the parents were central to shaping young Clark Kent's character. "This is a show where the parents are depicted as not only having a clue, but being very instrumental in forming a personality of a young man. On top of that, this young man, by virtue of the parenting he is receiving, is going to turn out to be Superman." As a father of three children, ages 18, 11, and 8, Schneider takes his role as a parent every bit as seriously as his Smallville character. He contends that parents are not only responsible for providing their children with the basics of food and clothing but are also obligated to protect them from harm - and sometimes that can mean protecting them from today's media. He doesn't let his own kids watch Smallville until he has previewed the episode first. He and his wife Elly also preview movies their children watch. Regarding what children watch on television or at the movie theater Schneider said, "You have to protect what goes in there, because once it's in there, it never comes out." "Hollywood 's obligation is to shape culture, I certainly think that we should shape it for the better," he said. Certainly, Schneider's portrayal of Jonathan Kent contributes positively to our culture. Jonathan Kent is a strong father figure to his adopted son, Clark Kent. Stern at times, his love is undeniable, a fact that many viewers have picked up on. "A lot of people are thankful that there's a strong father depicted on television." However, he said, "I've had several instances where people say, 'Man, you really need to lighten up, you're mean.' I was a teenager. You can tell the difference between someone who's being spitefully mean to you, or being 'mean' to you because they love you. And I think in Jonathan Kent they're seeing the difference." Schneider hopes all of his work will cause people to stop and "think about what's happening in their own house. Think about what's happening in their own neighborhood, their own family. If I can make somebody think, then that's 90% of the work." Obviously, Schneider applies this axiom not only to his work as an actor, but in his family life as well.